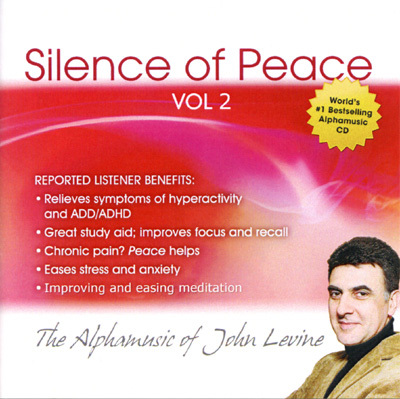 Because of pesistent popularity of "Silence of Peace vol1" John has released this new version of his bestselling CD. Cambridge University research found that "Silence of Peace vol1" significantly reduces hyperactivity, impulsiveness and classroom chatter, with an overall improvement in academic performance. Ideal for people who love vol1, but want slight variation, while still receiving the same powerful benefits.